Moving is known to be one of the major stress factors in life so it’s little wonder most people don’t move too often. Fortunately, Amiga Homes have introduced a complete customer care package to help buyers through the process from start to finish – and beyond. By offering assistance at every step of the way Amiga Homes are ensuring the move to one of their brand new homes will be as smooth as possible. On moving day, you’ll have a step-by-step demonstration of your new home with detailed information including a homeowner manual and once you’ve settled in, Amiga Homes provide a complimentary “Handy Man” service to help with and DIY jobs. In advance of the handyman’s visit you’ll be able to compile a list of jobs you would like done, such as putting up shelves or pictures, or assembling flat pack furniture. The experienced handyman will then arrive equipped with the right tools to complete the jobs during their day there, helping you settle in quickly so that your new home will really feel like your home. Everyone asks what is the reason we are called “Amiga Homes”. “Amiga” was a famous polo pony that I purchased for my daughter through a friend, and she was part of the Coca Cola polo team based in Florida. My friend brought her to the UK and I had an opportunity to buy her and the rest is history! 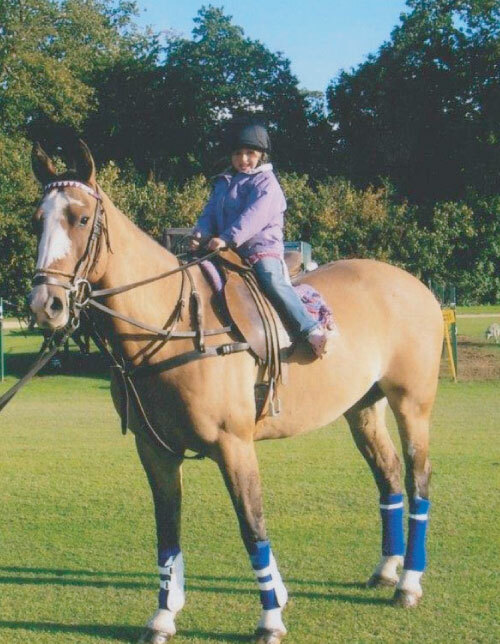 My daughter used to ride her at 5 years old on the polo fields at Cowdray Park.